The Trinity-Sergius Lavra (Троице-Сергиева лавра) are built by the best architects of the country in the XV-XIX centuries. The ensemble of the monastery includes more than 50 buildings for various purposes. 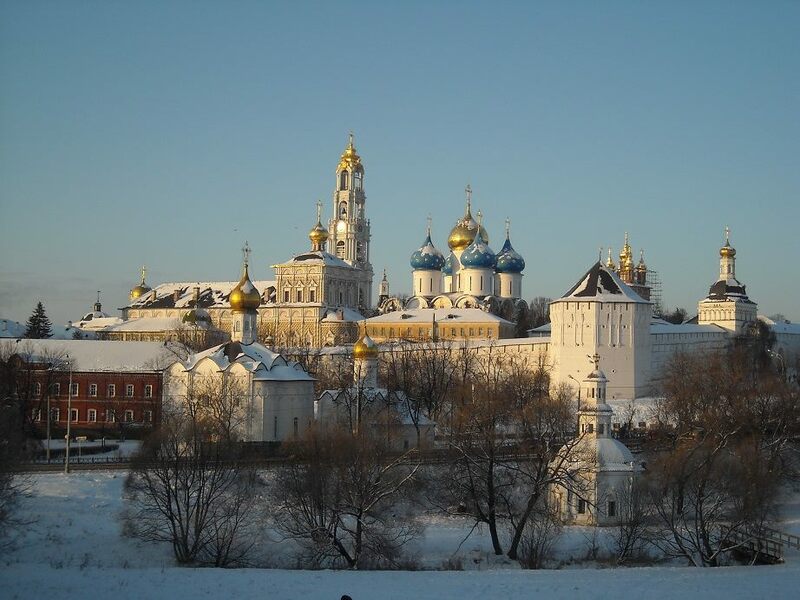 The architectural ensemble of the Trinity-Sergius Lavra is under the protection of UNESCO. Now there are more than 10 temples in the monastery. The table shows the names of the temples and buildings, the periods of their construction and the shrines they contain. The relics of St. Sergius of Radonezh are in the cancer in the southern part of the cathedral. Things of St. Sergius: schema, staff and two wooden liturgical plates. Icons of the local iconostasis: the Monk Sergius of Radonezh with the act (the 15th century), the “Holy Trinity” (the 16th century, to the left of the Royal Gates), the icon “The Savior Not Made by Hands” (1674) and “The Savior on the Throne” (1684) by the iconographer Simon Ushakov. The relics of St. Maxim the Greek and Antony (Medvedev) (in cancers). The relics of the saints Innocent of Moscow (in cancer). The wooden coffin of St. Sergius of Radonezh (in it until 1585 the relics of St. Sergius rested). Icons of the 16th century of the local iconostasis: the temple image “The Assumption of the Blessed Virgin”, “The Holy Trinity with Being” and “The Annunciation of the Most-Holy Theotokos”. The relics of St. Nikon of Radonezh (under a spoon). Honored list of the icon of the Mother of God “Skoroposlushnitsa”, part of the stone of the Holy Sepulcher. Icon of the Monk Zosima and Savvaty of the Solovetsky, the coming of the image of the Most Holy Theotokos “The Sign”. The relics of the Monk Micah of Radonezh (under a bushel). A venerable copy of the miraculous stone carved icon of the Smolensk Mother of God Hodigitria – on the outer eastern wall of the temple. The relics of the hierarchs Serapion of Novgorod, Joasaph of Moscow and the Monk Dionysius of Radonezh (all under a mess). A piece of the vesture of the Most Holy Theotokos, the hand of the first martyr Stephen, the cross-relic of St. Sergius – the gift of the Patriarch of Constantinople Philotheus to Sergius of Radonezh. The icon “The Appearance of the Mother of God to St. Sergius”, which occurred in the cell of the Monk Sergius, according to the legend in this place, and other shrines.